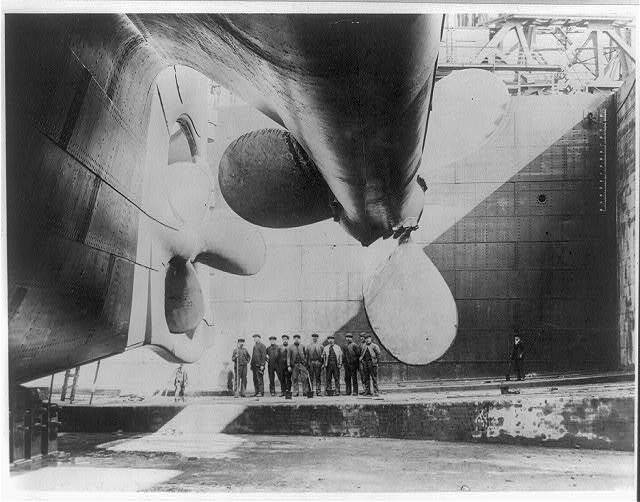 In a small dose of Belfast news, today was the 95th anniversary of the launch of the Titanic from the Number 3 slipway at Belfast’s Harland and Wolff ship works. At 12:15 this afternoon, a whistle was blown in a simple ceremony. The Belfast Titanic Society along with Belfast’s Lord Mayor had travelled by boat to the spot where the famous vessel was launched back in 1911. A minute’s silence followed, remembering those who had lost their lives on the liner’s maiden voyage, as well as those who had been involved in her construction. the process consumed 23 tons of tallow and soft soap. 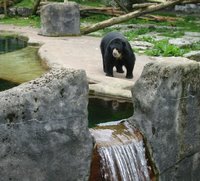 Although some of the animals had a turn of colour, it was the other visitors wandering around the zoo on Monday that really stood. 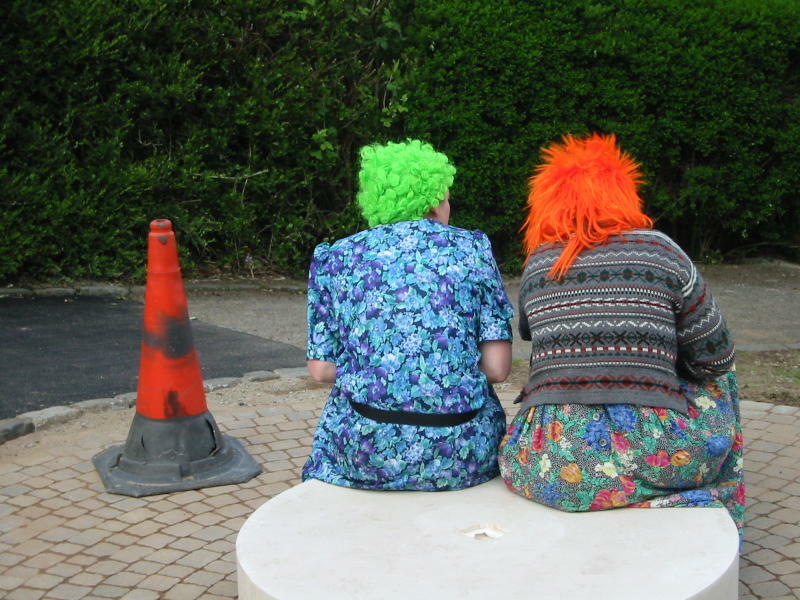 A loud party of Australians – with name badges of Kylie, Sheila, Bruce, etc – wandered around wearing flowery dresses and bright wigs. The Northern Ireland reserved nature seemed to be in operation. I didn’t catch anyone (including myself) who bothered to ask them what they were dressed that way. But it certainly added to the colour. Jury Service kicked back into life today after a slow start at the beginning of May (with a three week case that sent most of us in the 250-strong jury panel back to work while the remaining 12 did their work). 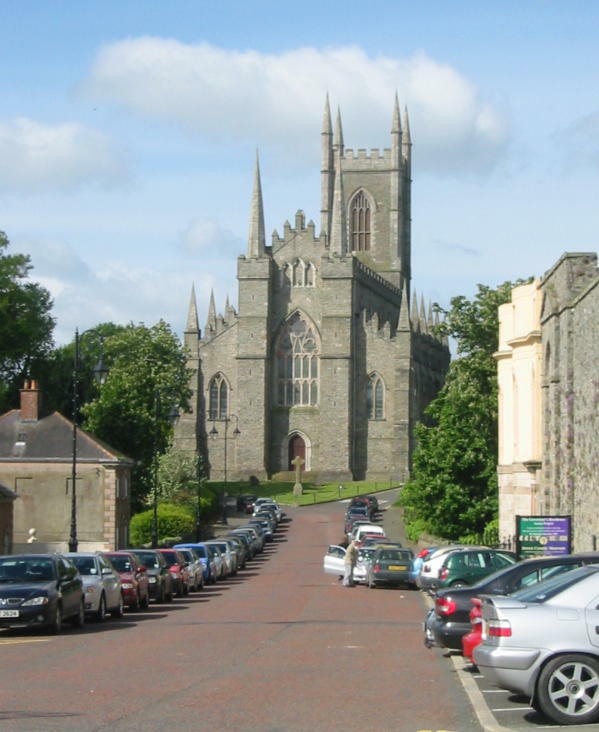 Today, we reconvened in Downpatrick (“historic Downpatrick” if this was a BBC news bulletin) for our jury panel. 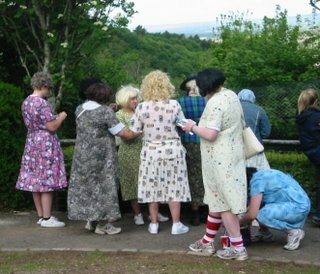 People seemed at lot more at ease with the whole jury service process today, dressed more casually and carrying newspapers. And there was a lot less fear about as some of us trooped downstairs to make our cases for days off etc from the court clerks. Given a decent reason backed up by letterhead, its straightforward to be excused for events and holidays outside of the court. And so the tombola began. After a few minutes the clerk picked my number out, and with a few calls of “reject” and “standby” for those in the line ahead of me, I’ve ended up on a jury for a case starting tomorrow morning. The twelfth man. Sounds like the name of a film? While I'll obviously not comment on the particulars of the case, I will continue to let you know of my adventures with the justice system. The Courthouse isn’t anything special to look at, so I attach a picture of Down Cathedral instead, taken from the pavement outside the courts. It’s neck and neck in the social networking community war. When I commented in an earlier post, I didn’t even realise that the number of subscribers was tracked on a daily basis. But according to the Guardian, it turns out that Benchmark Capital (a venture capital fund) must have a large swingometer in their offices. On Saturday, Bebo had a 12.52% share of the market, taking a lead over MySpace (12.28%). While Bebo retained a slight lead on Sunday, MySpace accelerated past them into the lead again on Monday. Executives across the social networking industry are probably sitting biting their nails awaiting the arrival of Tuesday’s analysis on their Crackberries. The one constant is that general trend is upward - more and more people are active in online communities. But it was only when I did a quick Google that I discovered that Benchmark Capital have a really good reason to micro-track this emerging market, reason enough to make a big publicity splash in the papers to mark Bebo overtaking MySpace for the first time. Something the Guardian didn't mention in yesterday's article. While News International are pumping money into MySpace, and pushing the investment in a differentiated MySpace UK portal, a certain Benchmark Capital poured US$15 million into Bebo on 22 May – and are obviously keen to see some early growth to derisk their investment. This follows their earlier attempts to kick start some of the other competitors in the social networking space - Friendster, WeeWorld and Habbo Hotel - none of which are listed in the top 10 online communities and chat sites (listed by share of UK visits) for Saturday 27th. Despite the gloomy weather, we went across to Belfast Zoo, set into the slopes of Cave Hill, with a commanding view across Belfast. I was promised that the Ring-tailed Lemurs would be spectacular. They run free across the zoo complex. I wasn’t there on our last family trip across to the zoo, but there were reports of them jumping over the roof of the Education Centre and swinging from the trees. 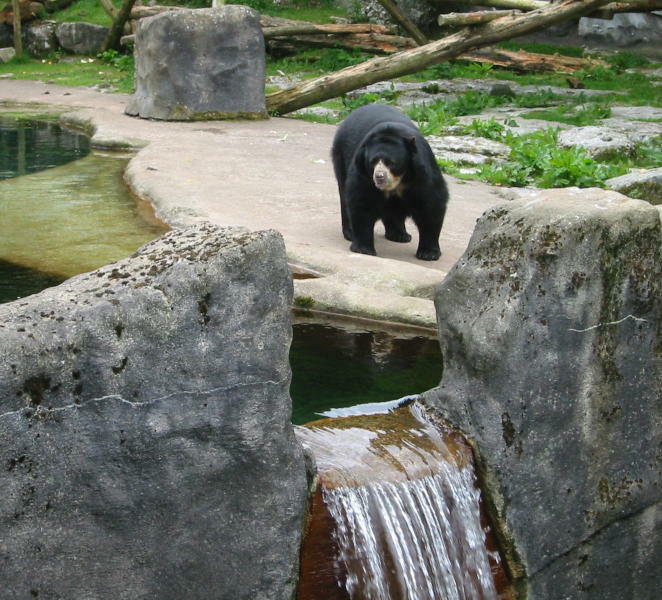 There were spectacled bears enjoying the old polar bear enclosure - though they must have had their contact lenses in. 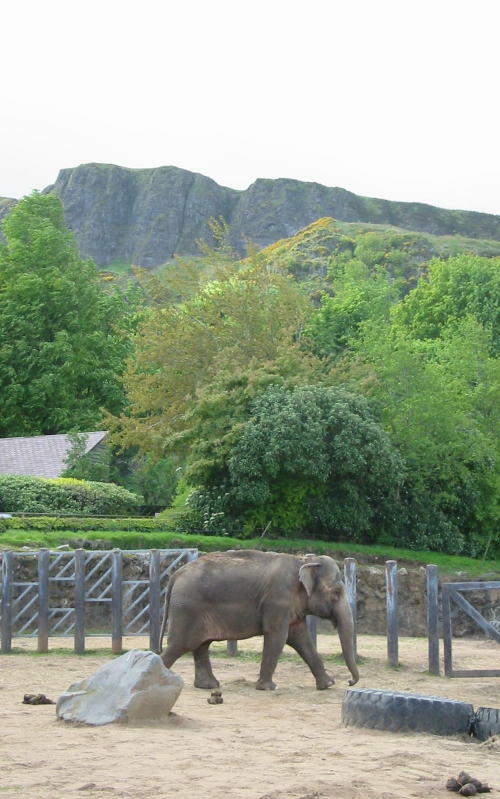 The strange sight of elephants stomping in the shadows of Cave Hill. No sign of Hannibal. 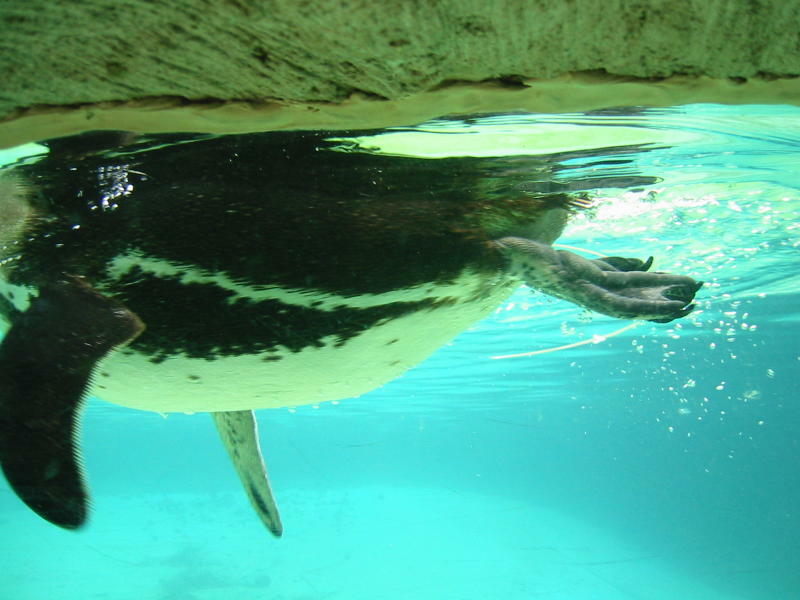 The penguins swimming in their pool are spectacular to watch – though difficult to photograph. 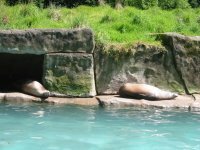 The sea lions enjoyed basking in the sun after their swim. 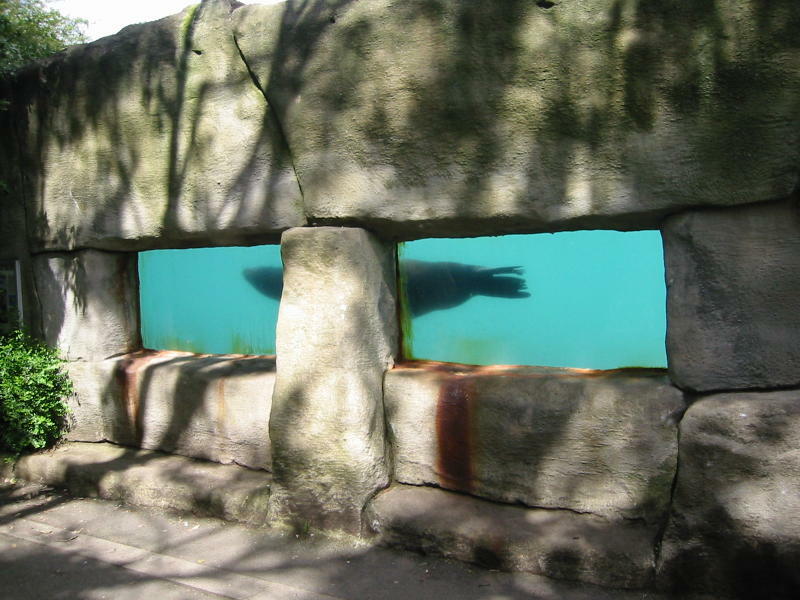 The zoo is owned and operated by Belfast City Council: it is good to see that my rates are being well used. The only disappointment was that the Lemurs were nowhere to be seen. May is a special month - the first and last Mondays are Public Holiday's and I get them off. The theory is that in May - nearly summer - we're guaranteed good weather. When I checked the weather forecast last night, it showed Belfast in bright sunshine. In practice, I awoke this morning to the sound of heavy rain beating down on the bedroom window. Sunshine? Well, the occasional burst of light through the dark grey clouds, illuminating the drizzle. When English colleagues complain about the Belfast weather, we often remind them that we're looking forward to the summer - when the rain will be warmer. And every cloud has a silver lining. It's still a day off - and the rain means I won't have to cut the lawn! And if you want a live look at Belfast's precipitation, check out the Belfast City Hall webcam (when it's working). It’s the kind of thing you read about in a list of urban myths. But it doesn’t happen in real life. Unless you live in Belfast. Queues formed this week at a Bank of Ireland cash machine at the Kennedy Centre in West Belfast which was paying out double the money requested. 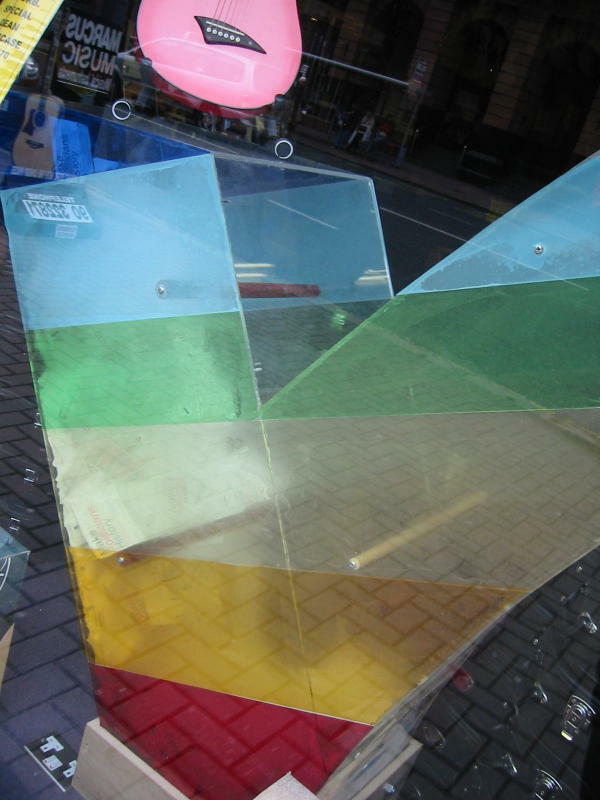 The same malfunction was experienced by a Bank of Ireland ATM in Belfast city centre on May 15. 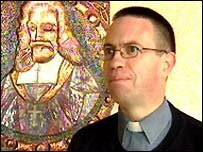 In an interview with the BBC, Father Martin Magill reminded his parishioners about the eight commandment (“Thou shalt not steal”) and the Catholic Church’s catechism which covers the “deliberate retention of good lent or objects lost”. To add to the weight of the eighth commandment, the Bank of Ireland reminded customers that ATM transactions are traceable … and I suspect that customers who have kept their bonus cash may be contacted by their banks in due course. Father Magill is no stranger to press headlines. 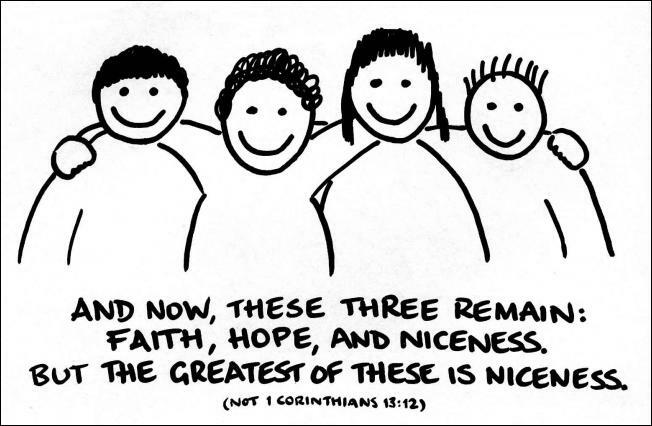 Back in May 2004, he teamed up with other local clergy to run the Belfast Marathon in a cross-community relay team. 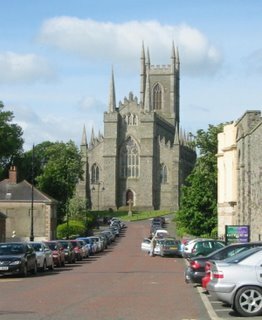 And more recently in October 2005, St Oliver Plunkett’s Chapel was showcased as the first church in Northern Ireland to fit solar panels. My memory of a holiday in Switzerland four years ago was of a clean, efficient and modern country. It’s main struggle seemed to be maintaining a common identity across the French and German-speaking cantons. But I’d have put the Swiss down as a politically correct bunch. Turns out, Switzerland may not be universally PC. Jeannette Eggenschwiler is a weather forecaster and eight months pregnant. Not quite ready to go off on maternity leave, she is still presenting weather bulletins for Tele-Zueri. However, viewers have complained to the television station asking for the heavily pregnant weather girl to be removed from their screens. Anyone wanting to see if they would feel embarrassed can compare the recent photo (top left) with the older shot (right). Driving up Ormeau Avenue last week, I went past the deserted Ormeau Baths Gallery and wondered what the future held for the red brick building. The answer was forthcoming sooner than I expected. 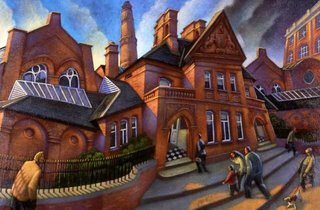 The good news is that the Ormeau Baths Gallery is set to reopen on Friday 9 June with a new exhibition. The Arts Council for Northern Ireland announced yesterday that they would directly manage the gallery while discussion within the wider arts community continued, with a view to putting an independent management team in place by the autumn. Although the reopening will be welcomed, the future funding and management of the gallery will be crucial to the continued viability of the space, and the bad feeling and upset at the sudden closure at the end of February will take a long time to heal. 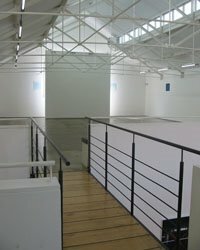 Without a stable foundation, there is a high risk that the floors will empty and the lights will go out - maybe permanently - in the gallery. The opening exhibit will be Collectors’ Collections, showing modern Irish and international art selected from private and public collections from across the island of Ireland. For those following the arts scene, you’ll be delighted to know that “paintings, drawings, sculptures and mixed-media works by some of the best artists in Ireland, including Basil Blackshaw, David Crone, Felim Egan, Alice Maher, Kathy Prendergast and Sean Scully” will be on show. Bad news for Wayne Ordinary American who is trying to buy a house in Northern Ireland at the moment. A Belfast Telegraph survey shows (and a quick browse through PropertyNews.com confirms), there are now very few properties on the market for less than £100,000. In one particular example, some Housing Executive properties were sold off in Co. Tyrone for £60k last year, and are now valued at over £100k. House prices have been rising for the last ten years, and have been concentrated on the main dense population areas. But recently, the sharp increase in prices is affecting a much wider area. This rise may be due to the increased amounts of money that banks and building societies are willing to lend - allowing first time buyers to pay more, and encouraging estate agents and sellers to allow asking prices to creep up. Having announced the East Belfast site (or North Down, depending on where you live) for their new Northern Ireland store, IKEA have now submitted their planning application. Hopefully the NI Planning Service backlog won’t overly affect IKEA’s timeline. The Holywood Exchange store will now be spread over 29,000 square metres (3,000 square meters larger than originally announced) and will stock the entire range of IKEA tat. The original December 2006 opening date has been put back to next spring or summer due to the increased size and site investigations on the brownfield site. 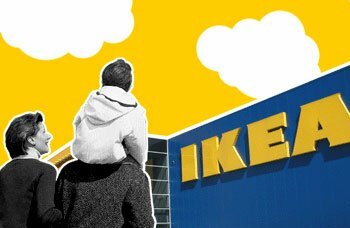 As well as an influx of Ikea look-alike houses, the store will create 400 jobs and keep painters and decorators in business for years to come. Tonight’s touch LOCAL’s survey which placed Belfast at the head of enjoyable UK cities for tourists to visit. The researchers scored the cities for the number of restaurants, pubs, beauty salons, sports centres, etc registered with the website. So it certainly proves that Belfast businesses are good at marketing and promotion. Edinburgh came second behind Belfast. History, past performance and longevity aren't particular stumbling blocks on the internet. Myspace and Bebo are both relatively young, yet receive the fifth and sixth highest number of page views. 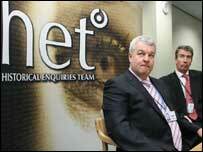 The BBC report that Neilsen measure community websites growing their audiences by 12% annually. But in the last year, Bebo grew by over 160%, and MySpace just under 300%. With News Corp buying MySpace in summer 2005, expect to see tie-ups in the UK with The Sun newspaper over the next few months. as the media group try and capitalise on their substancial $580 million investment. Social networking is here to stay. Big Brother is proving uncomfortable viewing this year. While the producers’ idea of bringing a houseful of single people together is paying off – the cuddle count is running pretty high – the house dynamics are prickly to watch. In work, very few people freely admit to watching BB, but as soon as the discussion starts, everyone knowledgably chips in! In previous years, as the series nears the final week, everyone becomes more willing to share in those water-cooler moments. This year, Channel 4 have received some criticism for allowing someone with Tourette’s syndrome into the house. Rather than looking explpoited, Pete seems to be coping quite well. Either that, or the editing is intentionally sympathetic to build up audience empathy. In many ways, Pete is one of the more balanced characters – attempting to deal with ever present conflict, and providing insightful analysis of the house when he’s in the diary room. There are few in the group who can be proud of the way they have treated Shahbaz. Winding up someone who is already obviously stressed isn’t one of the affirming human traits that viewers will be attracted to. Shahbaz was undoubtedly irritating, with an in-your-face persona, he could try the patience of a saint, and he made his situation much worse than it needed to be. Yet he was vulnerable, unstable, trapped in continual conflict, and picked on. In a playground we’d call it bullying. Like terrorising Piggy in Goldings’ Lord of the Flies, the group mentality prevailed, squashing the odd person who tried to get alongside Shahbaz and calm his tension. In the end, the voice of Big Brother mellowed and befriended Shahbaz as he trembled in the Diary Room for one last time. Affirming that he had been a great housemate, there was (an obvious show of) dignity. And in breaking news tonight, Dawn has announced that she wants to leave. 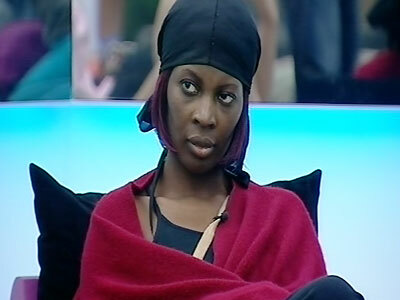 Only it looks like BB is playing the usual game of “needing time to organise your departure, can you sleep on it and come back in the morning” which may give the remaining housemates time to sway her opinion. Spooks - Series Five and Six - Is it a mystery it's lasted so long? As a general rule of thumb, film sequels rarely live up to the original. Although there are some exceptions, writers and directors generally fail to reproduce the quality and intensity of the original idea. The same holds true for television series. Many of the best TV series have been stopped at their peak. No Angels recently bowed out at the end of its third run. In stark contrast, Teachers went off the rails as it was stretched out over four series. Red Dwarf lost much of its sparkle as the crew meandered through the galaxy for a total of eight series. Yet there are exceptions which are reinvigorated each season, and are long lasting. Spooks is a good example. Seemingly with a named bullet for each member of the cast, this sometimes harsh recycling has kept Spooks fresh for four seasons. The fifth run of ten one-hour programmes begins this autumn, and the commissioning of a sixth series has just been announced. Some high-end cars now come with iPod in-car integration to get rid of the spaghetti of adapters and wires that are cluttering up cars. But in-sole integration? At first sight, I though Apple and Nike had got together to put iPods inside trainers. The headline “Nike encourage you to tread carefully on your Nano” came to mind. But the story is more sophisticated than that. You buy a pair of shoes kitted out with a sensor embedded in a pocket under the insole, transmitting data up to a slim receiver plugged into the bottom of the Nano. 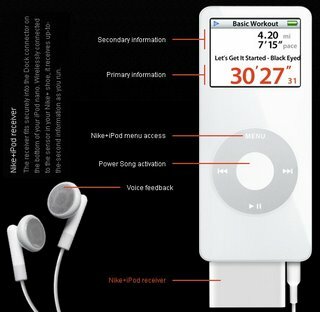 As well as pumping out tunes to keep your pavement pounding pace up, your iPod can give you a running commentary (pun intended) of your progress through the headphones. There’s also a facility to sync up with Nike through iTunes, keeping a record of your exercise. One downside is that your Nano will have to be strapped to your arm, or kept in a pocket, as the protruding receiver plugs into the slot normally used by the The Register helpfully points out - buy a packet of breakfast cereal that comes with a free pedometer. Although the 2.4GHz radio link is advertised as running a propriety protocol, how long before someone comes up with an even better use for it? And in a moment of inspiration, Geared Up Blog suggests that it's called the iPed Nano. Brilliant! Ever feel like you're banging your head of a keyboard? Courtesy of Jefferson Davis' post earlier today, I bring you the mildly gruesome spectacle of every day life in the software industry. Jefferson arrives in Ireland on Wednesday evening - let's hope his experiences in Irish internet cafes won't be as bad as the cartoon. I should ask Jury's to provide you with a complimentary cup of Earl Grey tea while you're up in Belfast! Just a quick update on the Making Politicians History campaign. The perspex tick in the Marcus Music shop window in Belfast’s Royal Avenue is still very empty. 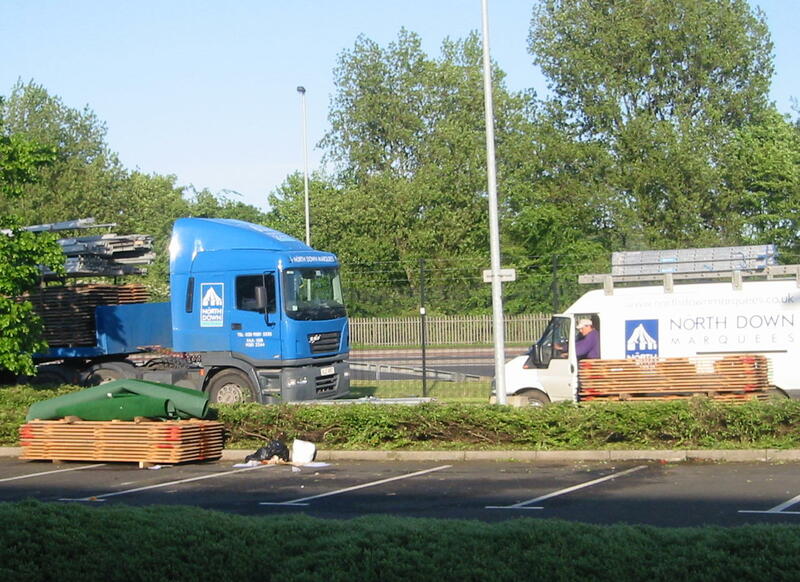 I’d estimate that over 99% of the 200,000 cards distributed to Belfast voters have gone in the bin rather than the post – saving the political movement a large postage bill! There’s a few more cards than when I passed two weeks ago, but not many. 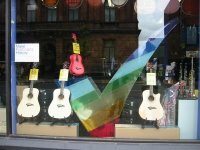 And the tick has been turned into a handy display stand for a rather fetching red guitar. 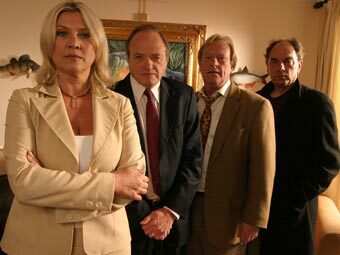 I wonder if the Northern Ireland-based Historic Enquiries Team are glued to their sofas each Monday night at 9pm to catch the latest episode of New Tricks on BBC1. New Tricks is a drama series featuring an eccentric bunch of ex-policemen, brought out of retirement to investigate unsolved crimes as part of UCOS (Unsolved Crime and Open Case Squad). The Historic Enquiries Team is a unit of the PSNI staffed by an eccentric bunch of ex-policemen, brought out of retirement to investigate unsolved crimes. 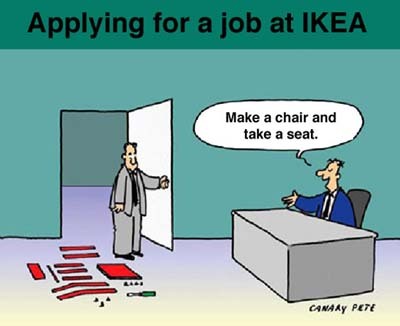 That’s a cheap joke - and not true, though every organisation needs a few eccentrics to keep it fresh! Operationally independent from the PSNI, but reporting to the Chief Constable, HET brings together a review team recruited from police officers from outside Northern Ireland with a locally recruited investigations team. They are ploughing their way through the 3,269 unsolved murders committed during the Troubles (1968-1998). 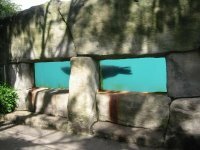 However, they are falling short of their closure target of 40 cases per month. This still feels faster than the clear up rate of the UCOS team on New Tricks. Search engines, email, video, world maps, wireless, huge server farms … what will Google do next? 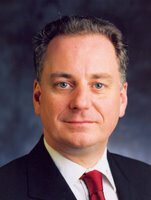 How about Artificial Intelligence? Eric Schmidt (Google CEO) and Larry Page (co-founder) gave some pointers to future developments when they spoke yesterday at Google’s invitation-only Zeitgeist 2006 conference outside London. 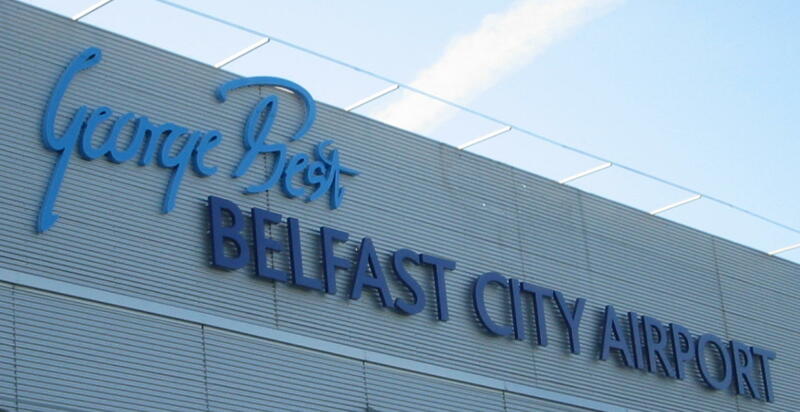 Belfast City Airport was renamed to George Best Belfast City Airport today. In a ceremony carried out on what would have been George Best’s 60th birthday, his father unveiled the new signage. Over the weekend, the famous East Belfast footballer’s name had been added to the top right of the existing sign, and covered up with a banner. Other than the main terminal signage, a single green road sign on the entry slip road, and a billboard poster for the George Best charitable foundation, there aren’t many signs of Best’s impact on the airport. Other than the marquee that will be gone by dusk. I suspect that most operators will continue to know the airport as Belfast City Airport, or more plainly, the Harbour. If you could name something in Belfast (or Northern Ireland) after a celebrity (dead or alive), what would it be? How do you convince people of the value of something? 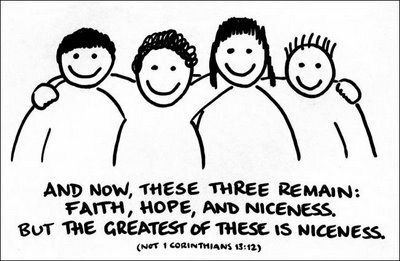 Showing them someone who sees the value is often a good start. And so Peter Hain, Secretary of State for Northern Ireland (and Wales) has invited Jack McConnell, First Minister in the Scottish Parliament, to speak to the MLAs at Stormont on Monday. As well as highlighting the benefits of devolution and Scotland’s war on sectarian behaviour, Jack McConnell is taking some time of to tour some of Northern Ireland’s lesser known tourist destinations – meeting community and religious leaders on Belfast estates! Tomorrow, Monday, he’s addressing the Assembly, before visiting Holy Cross Primary School. After Jack’s warm up, the Assembly have to get down to the tedious business of (not) electing an Executive. Guess where UK came? 19th out of 24 countries in the final. Guess where Lordi came? First, of course. Despite accusations of promoting Satanism, their outlandish performance won the votes from the EBU member states. Of local interest, Brian Kennedy brought Ireland home in a respectable 10th place, with a third of the points that the winner was awarded. There was a fascinating story in Wednesday morning papers about conservationists who had found the remains of a piano under a pile of stones being cleared up on Ben Nevis. It was a great story, full of intrigue. Just the thing to keep me awake on the red eye to London. Even better, the story was followed up in the papers on Thursday and Friday mornings when the man who had single-handedly carried the piano to the 1344m (4409ft) summit on his back was found. 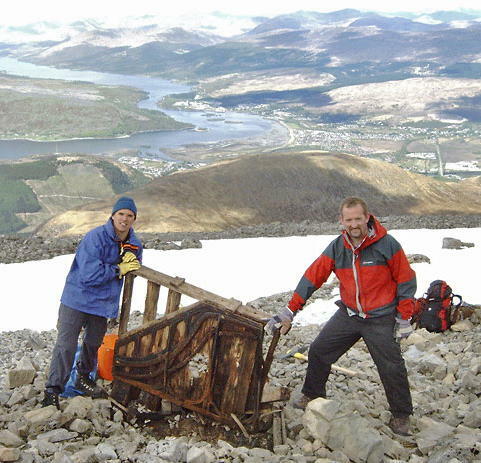 Kenny Campbell has a history of carrying things up the mountain for charity. He only got the piano up on his third attempt in 1971, playing Scotland the Brave when he reached the top, before leaving it. The Guinness Book of Records documents his success. After protests about the appearance of a piano at the summit, Kenny climbed back up to discover that the piano was gone. Friday’s Guardian also teases us with the news that Kenny Campbell is planning another stunt to mark his 65th birthday later on this year. But did it end there. No. There are probably more twists and turns in this story than the path the piano must have taken to get up Ben Nevis in the first place. Mike Clark and his team of Dundee removers apparently celebrated their success with McVitie’s biscuits washed down with a bottle of whisky. The conservationists found a McVitie’s wrapper with a “best before December 86” date was near instrument. This story should become a case study for all school history classes. What is the real story? Why the variation in all the different reports? An organ or a piano? Kenny Campbell or Mike Clark and team? 1971 or 1986? 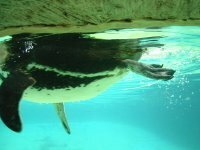 Are the John Muir Trust press releases (first and second) the most accurate narations of the story? Just how many pianos have been carried to the summits of mountains? And what other strange objects will now appear at the top of Ben Nevis? And given the disparity in press reports, will all the unreliable blog entries further confuse the story? Tonight sees the final of the 51st Eurovision Song Contest, this year hosted in Athens. As Terry Wogan will point out, the proceedings are less dominated by the quality of the music than they are based around the changing and expanding political landscape of Europe. Although the UK entry - 32 year old rapper Daz Sampson - didn't have to endure the preliminary semi finals to get a spot, it will be lucky to finish in the top half of tonight's final. Along with France, Spain and Germany, the UK are guaranteed a place in the final as they are the largest contributors to the European Broadcasting Union, which runs the contest. But a place in the final doesn't guarantee votes - not when there are closer ties between Scandinavian and Baltic states (Denmark, Sweden, Finland, Latvia, Lithuania) and the ex-Yugoslav states. Watch out for Brian Kennedy representing Ireland tonight. Always a good bet. 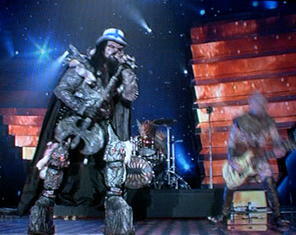 Also worth watching will be the Finnish rock band - Lordi - complete with heavy metal armour, flame and noisy guitars. It may not be brilliant entertainment - but it'll be more fun (and cheaper) than the poorly reviewed Da Vinci Code film that went on general release last night. UPDATE - if you're not in the UK, and don't have access to a broadcast feed, try the online feed from the official Eurovision website (though there's more back stage news from the unofficial ESCtoday.com site, which has been running for several years).